It was another early start this past Sunday. California Car Cover was on display at two car shows on the same day in the Los Angeles area and I attended both of them. 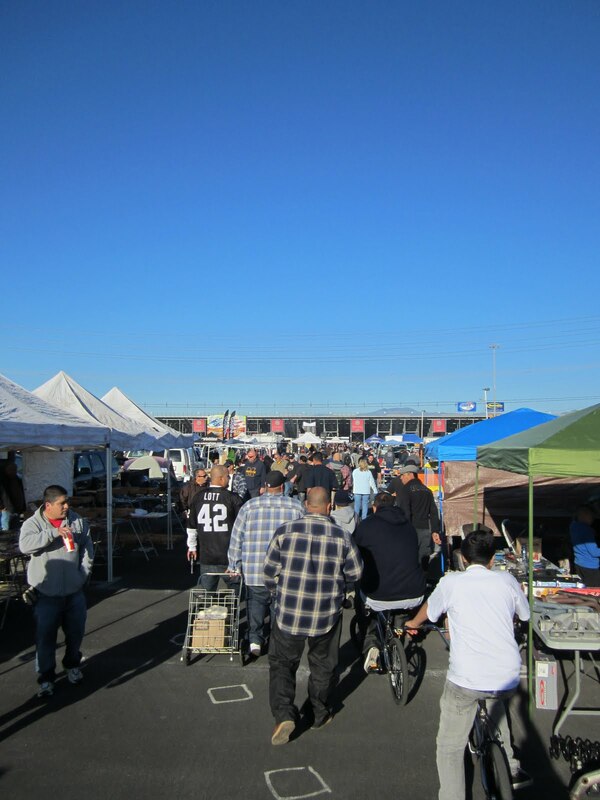 First off, was the So Cal tradition, the Pomona Swap Meet. We set up there pretty early and despite the cold weather it was a good turn out once the cold weather went away. A few classic Chevy covered up in some California Car Cover Plushweave car covers. 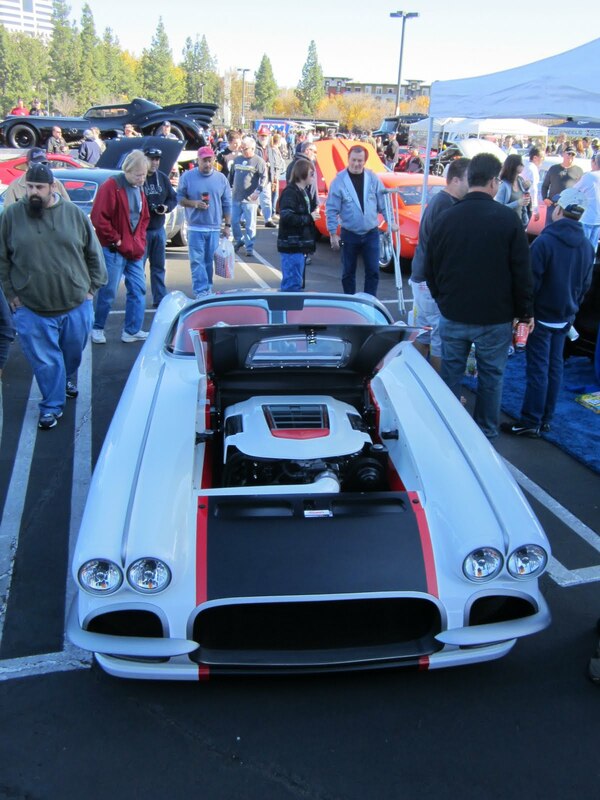 At the Pomona Swap Meet, California Car Cover has its trade show truck to show customers our custom car covers and Golden Shine Car Care Products. On the right is our sale booth, which displays a lot of seasonal or discontinued merchandise. It is a great place to pick up a deal. Besides the 100's of swap meet vendors, the parking lots are filled with classic cars for sale. Right across the road from us is the parking lot with street rods and classic cars on display. This picture came out really nice. The sun is rising in front of rows of classic cars. Having a booth right on the main road through the swap meet has its perks. You get to see a lot of unique and interesting automobiles on their way to park. You'll find just about anything in the swap meet. After a half day at the Pomona Swap Meet I had to drive back to the San Fernando Valley for the charity Motor 4 Toys Car Show in Woodland Hills, Ca. It was a large event that drew a lot of cars for a great cause. The car show is in its 8th year and this year California Car Cover was one of the sponsors. The California Car Cover and Golden Shine booth. Special thanks to Bernie at Dub-Nation for letting us cover his VW in our booth. The show had plenty of luxury cars and exotics on display. It was definitely a different crowd than at the Pomona Swap Meet, but it was nice to meet new people and talk to customers. There were groups of car clubs on display from all over Southern California. There was a nice variety of newer cars and classics. The parking lots surrounding the Anthem Blue Cross building were packed all morning. The large collection of toys donated by show participants. The event is coordinated by Dustin Troyan, pictured here in the orange hat. Special thanks goes out to The Auto Gallery in Woodland Hills for being the presenting sponsor of the event. They brought out a fleet of luxury automobiles. I am glad that California Car Cover could be part of such a great event as well. For more information the Motor 4 Toys Car Show, please visit the website. For more information on California Car Cover please visit us on Facebook or our website.